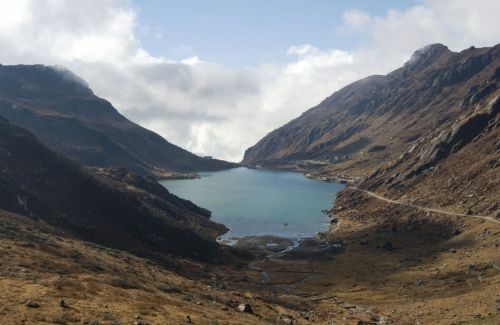 Sikkim is called the land of mystic splendor. Sikkim lies between Nepal in the west, Tibet in the north and east, Bhutan in the south west and west Bengal of india in the south west. With the area covering 7096 sq.km, Sikkim covers the length of 112 km from North to south and thewidth of 64 km from east to west. 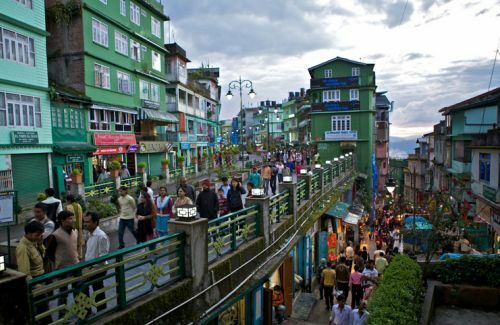 Sikkim has been successful as an eco-tourism destination. This is regarded as one of the last Himalayan Shangri-la. This is popular for adventure and cultural tourism. 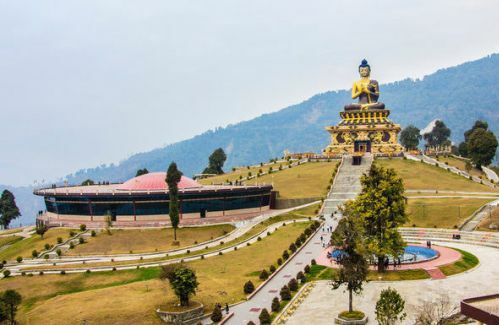 The ancient Tibetan Buddhist culture, almost 200 monasteries including Rumtek, Pemayangtse and Tashiding; popular trekking trails, Teesta River Rafting, Flora and Fauna Sanctuaries, Nathu La Pass and old Silk Route lure the domestic and foreign tourists visiting Sikkim. There are 28 beautiful mountains, 5000 types of flora and fauna, more than 600 species of butterflies, 500 species of orchid and more than 300 lakes. Mount Khang-chen-dzonga can be viewed from every corner of Sikkim and remains an intrinsic part of the lives of Sikkimese. It is revered as the abode of their guardian deity Dzo-nga by locals. Besides the Himalayan peaks, there are various passes like Bhutania,Jelep la, Nathula etc. The Sikkim is divided into four districts, namely East Sikkim, West Sikkim, North Sikkim and South Sikkim. This monastery is 3 km far from Gangtok town. This is 200 years old monastery. It has images of gods, goddesses and other religious objects. This is an important seat of the Nyingmapa order. This monastery is built on the site blessed by Lama Druptok Karpo, a tantric master known his power of flying. There is a religious masked dance, “Cham” every year around January. This ropeway is 1 km long and takes 7 minutes to go from the lower terminal, located at Deurali Market to Tashiling. 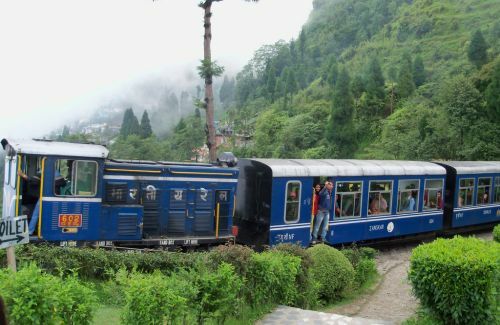 This takes the passenger to the highest point of the city of Gangtok. This is 4 km far from Gangtok, located en-route to Ranka. There is a Park built with shamanistic theme. The place itself is littered with ethnic sculptures and figurines of the Jhankri of faith – healer culture. It is 8 km far from the Gangtok town. This is on the Highway to North Sikkim. It is a best place to view Khang-chen-Dzonga. 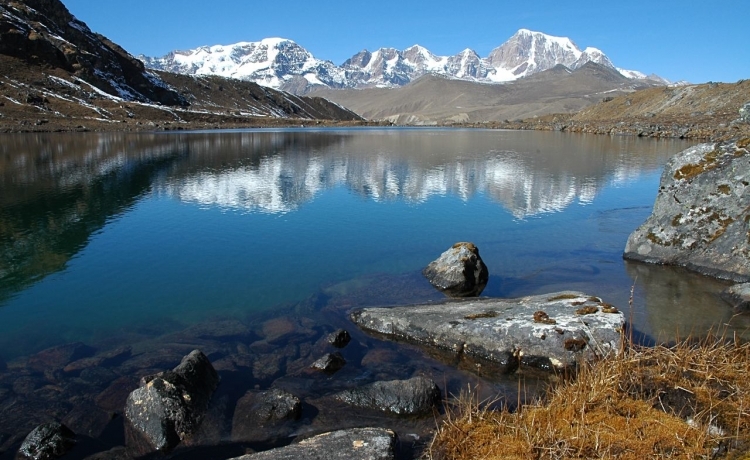 Tsomgo literally means the “Source of the lake” in Bhutia language. It is 38 km far from Gangtok. This is oval shaped lake, 1 km long, 15 m deep and considered sacred lake by the local people. It remains frozen during the winter. It is an ideal habitat of Red Panda. This is the oldest monastery in Sikkim. This belongs to the Nyingma sect, considered as one of the premier monasteries in the state. The monastery is located on the hill top at an altitude of 6300 ft.It was originally established by Lhatsun Chempo, one of the revered Lamas is believed to have performed the consecration ceremony of the first Chogyal, the religious monarch of Sikkim. 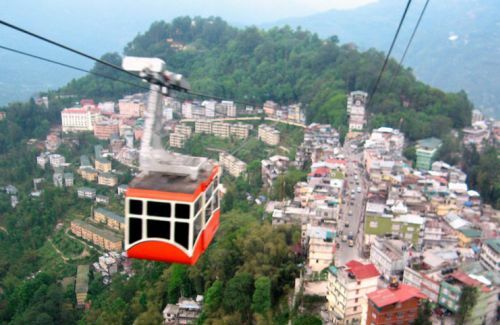 Pelling is located at a distance of 133 km from Siliguri and 125 km from Gangtok. It is well connected with black topped road by bus, jeep services. It is the best place to know history, nature and the culture of the state. It is an ideal get away for tourists as its vicinity has numerous waterfalls, soft trek routes, villages and soothing atmosphere for all discerning. The king of Sikkim ruled from this palace till 1814 A.D. Today, the ruins lie hidden from the road at a walking distance from the monastery. The view of Khang-chen-Dzonga from here is something to be cherished and etched in memory. Yuksom was the first capital of Sikkim, where the first Chogyal of the Kingdom of Sikkim was consecrated in 1642 A.D. by three learned Lamas, according to the historical records. The evidence of the consecration ceremony is still intact at Norbugang chorten in the form of stone seats and a foot-print of the Head Lama on a stone. The area is considered sacred by the people of Sikkim. It is 40 km in distance from Pamayangtse. The trek to Dzongri and to the Base Camp of Khang chen Dzonga begins here. It is about two hours drive from Pelling. 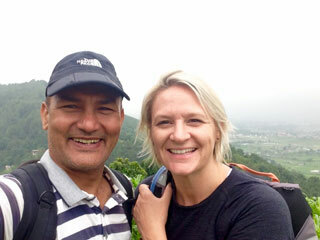 The trek to Jhandi Danda from Soreng is worthwhile to see flowers and the birds. Soreng is a picturesque village with beautiful landscape. The name Chewabhanjyang is taken from the old name Chewa – Fangzong which means a peeping valley in the local Limbo language.It lies in the Indo-Nepal border pass. It is a famous trade route to western part of India and to the eastern part of Nepal.